We just know that all you adrenaline junkies out there are going to love our new range of mini ride ons. 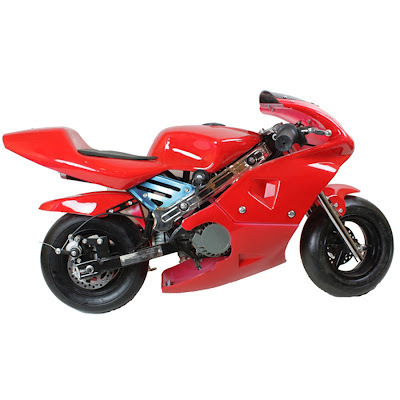 This 50cc red Pocket Rocket mini moto is our favourite and has got to be the ultimate boys toy!! 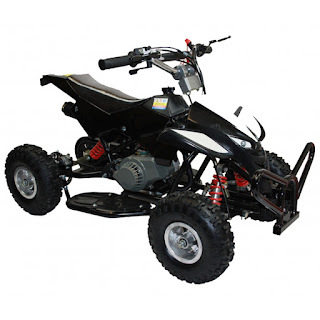 Built from the ground up to be a mini racing motorbike, you can just imagine the adrenaline rush of dashing along at up to 35mph when you're just inches from the ground - what an experience!! If you prefer your fun to be of the 4 wheeled variety then this 49cc black mini Pocket Rocket quad could be just the thing. With it's unique re-styled fairing, throttle restrictor, off road knobbly tyres with front and rear suspension it is perfect for any bike lover!! could result in criminal proceedings. See our terms here. 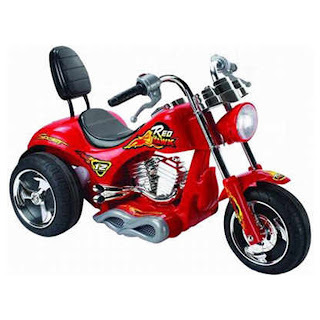 For the younger adventure seekers this 6v red ride on chopper trike is a must have. This trike runs on a rechargeable battery. Riding this will make them the coolest kid on the block, just don't forget the shades!! 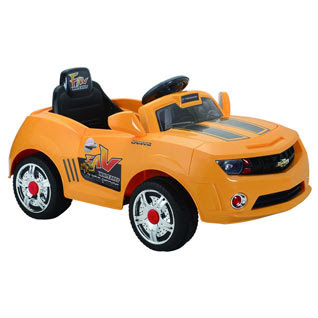 This 6v ride on Chrysler sports car is easy to control and will provide hours of fun for younger children. This car runs on a rechargeable battery.